Former President Nelson Mandela once said that many people are more affected by the stigma surrounding AIDS than the actual disease itself. World AIDS Day is commemorated across the globe on 1 December in a bid to highlight the plight of people living with or those who have died from HIV / AIDS in a bid to eliminate discrimination. 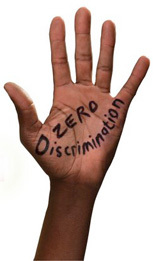 Metal Cross is a company that takes to heart the policy of no discrimination. They have a heart for the people that work for them and treat everyone as normal no matter who they are or what they have. It is about growing people and have a long term focus on skills improvement. Changing people’s attitude towards those affected and infected by HIV / AIDS is key not only to controlling the disease but also to providing a meaningful life for those who are HIV positive. Metal Cross is a leading panel beater in Johannesburg that boasts more than 30 years of experience. Owned by Frank Menezes, Metal Cross is well respected in the auto repair industry for their quick turn around and affordable panel beating services. As an approved panel beater and dent repair clinic, Metal Cross believes strongly in investing and developing their employees and work hard to provide equal opportunities at the company. Metal Cross stands firmly behind their HIV positive employees and their families. 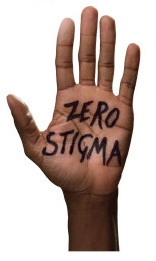 This panel beater is unafraid of the stigma surrounding HIV / AIDS patients and is committed to creating a safe and supportive working environment. In fact, these employees have become the workshops top performers. World AIDS Day is important as it reminds people that HIV / AIDS have the right to be treated equally and that there is a necessity to increase awareness, fight prejudice and improve our knowledge of the disease. There have been incredible advances in ARV (anti – retro viral) treatment which have allowed HIV positive people to enjoy a full and rewarding life. 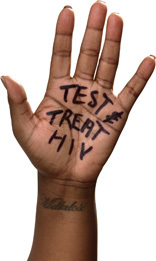 Metal Cross understands this and fully supports their HIV positive staff in their career and managing their condition. Some of the most tragic results of a positive diagnosis is isolation and rejection a person faces. Many companies do not treat HIV positive staff with respect and employees often feel that they will lose their job if they approach their employer. Metal Cross take a different stance, aiming to overcome the stigma associated with HIV and become actively involved in helping staff members where needed. Often HIV positive people experience abandonment, social exclusion, job or property loss, denial of medical services and even violence. There are still people with limited knowledge of the facts about how to protect themselves and others. It is vital that companies not only talk the talk but also walk the walk when it comes to supporting HIV /AIDS positive staff members.